Indore: The apex consumer commission has directed a private hospital at Indore and two of its doctors to pay Rs 15 lakh as compensation to a child who suffered deformity due to medical negligence during her mother’s pregnancy. National Consumer Disputes Redressal Commission (NCDRC) bench headed by justice JM Malik ordered Vishesh Hospital and two of its doctors to pay the amount to the seven-year-old girl, who was represented through her mother, as she was born without her left hand and a kidney due the “negligent and casual approach” of the medical practitioners in analysing the growth of the foetus through ultrasonography (USG). “As per their own submissions, if opposite parties 2 and 3 (doctors), because of tucked position of the foetus, have not seen the limbs, then how both opined in their reports as ‘Foetal Spine, Trunk and amp; Limbs are Normal’. “Thus, it proves the negligent and casual approach of OP 2 and 3 while performing USG. It was a dereliction of duty of care,” the bench, also comprising member S M Kantikar, said. According to the father of the child, the USG, which is conducted to examine the well-being of a foetus, was not done properly and alleged that the medical practitioners gave report, saying “no abnormal findings”. 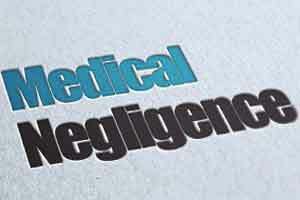 The complainant alleged that both the radiologists, due to their casual approach, negligence and lack of care towards the patient, gave wrong reports at two occasions, which resulted in serious consequences. The hospital and its doctors, however, denied negligence and claimed before the commission that as the foetus was lying on its side, with upper limbs tucked underneath, it was impossible to see that any limb was missing nor was there any reason to assume or suspect so. After perusing the medical reports, the bench observed that “the foetal USG is the most important tool to provide prenatal diagnosis of foetal anomalies”. “Had the anomaly been detected the parents would have been referred to a tertiary foetal medicine unit for further investigations which would have revealed the presence of other anomalies in addition to the abnormalities of foetal limbs. The existence of two serious anomalies would have resulted in the pregnancy being terminated,” the commission said. “The doctor is bound by ethical obligations to examine patient thoroughly with all his competence. Therefore, the radiologists should not shirk away from their responsibility and professional obligations,” it said.